A man has received two decades in prison after pleading guilty to first-degree manslaughter and first-degree robbery. Austin Brown, 21, was sentenced on Oct. 12 after an incident that left 24-year-old Alexander Brodigan dead in Gresham in 2017. 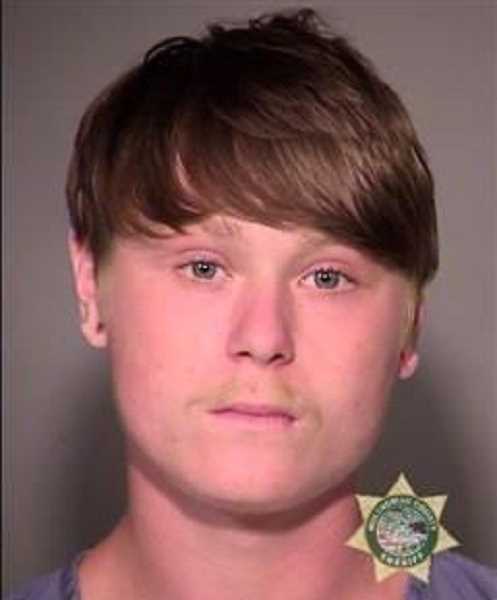 Multnomah County Judge Eric J. Bergstrom sentenced Brown to 20 years in prison. Brodigan was described by family as being someone who loved the people in his life and cherished the time he spent with them. "Alex was my son and in addition to being my son, Alex was also a brother, an uncle, a grandson, a great grandson, a cousin, a nephew and a friend to many people," his father Kerry Brodigan said in court. "There have been many sleepless nights and long days of sadness. Feelings of anger, frustration and sadness have become normal occurrences. No one expects to have to endure the death of a child." The investigation into the killing began June 19, 2017, when Brodigan was shot and killed at North Gresham Elementary School, 1001 S.E. 217th Ave. Gresham police found a car crashed into the outside of the school, with Brodigan's body inside. He had died from a gunshot wound. A search discovered Brown, Andrew McMahon and others at a nearby home. Police learned that Brown and McMahon planned to rob Brodigan upon his arrival at the school. Brown and McMahon brought a loaded 9mm semi-automatic pistol, and during a confrontation, Brown fired a shot. "Austin Brown killed my son," Kerry Brodigan said. "He had no right to take him from us. It is my hope that Mr. Brown gets the help that he needs and perhaps someday he can atone for his actions. I hope to be able to forgive Mr. Brown someday for what he did and the pain he's caused our family." "It was a terrible accident and I didn't do that on purpose," he said. "I wish I could take it back ... If I could take it back, I would. I'm very sorry and hope you guys can forgive me." Brown's co-defendant, McMahon, who participated in the robbery but did not shoot Brodigan, previously pleaded guilty to one count of first-degree manslaughter and first-degree attempted robbery. McMahon's sentencing date has not been set.